"I know where I want to go... I just need to figure out how to get there." Another marketing professional shared this with me about a year ago. But over the last 12 months, I've heard the same sentiment from many others. As marketers, we know the ROI our executives want to see, and we pay attention to the latest digital tactics that promise those results. The real magic happens when we can combine these two things in a strategy for our team. Unfortunately, it take more than a wave of your wand to get there. For enterprise manufacturers, building that digital marketing strategy is more complex than ever. Even with the resources to make an impact, the expectations from your many stakeholders and customers are high. From leadership to internal departments. Resellers to technicians. Perhaps that is why the research shows that many manufacturing companies struggle to incorporate digital best practices into their marketing plans. Many of Springthrough's consulting projects are for companies working in manufacturing at the corproate enterprise level. We see a large amount of complexity in these projects, but we also see common threads of success. The most successful manufacaturers consider 3 main factors as they build their digital marketing strategy. Step 1. Define why you want to do, what you want to do. Why do other departments think this is necessary? Why aren't your current systems working? 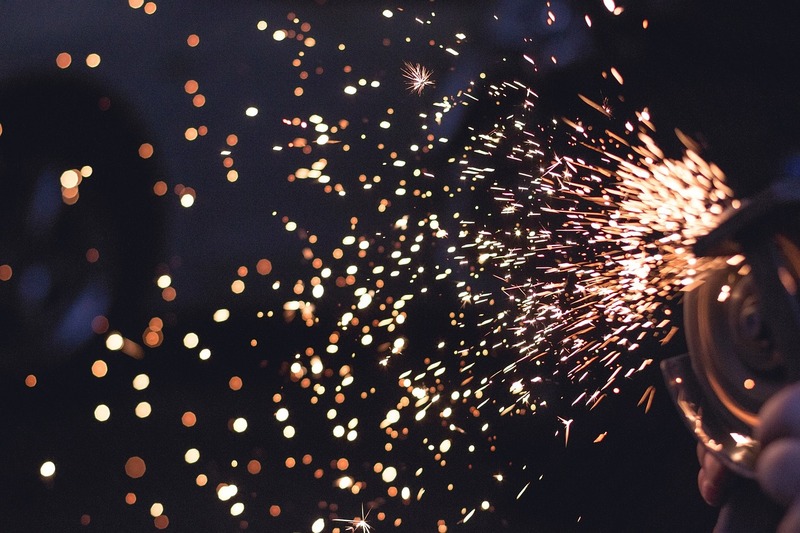 For large manufacturing companies with complex workflows, this is especially vital. The "why" needs to be defined across the stakeholders of your project. Not only will this help ensure that the end product works for everyone, but it will help you identify what to complete today and what to save for future iterations. We've heard and witnessed too many cases where Marketing and IT don't have these discussions beforehand. Throughout the project, it becomes increasingly difficult for the team to make decisions, and often work ends up redone before its even published. Ultimately, time and money are wasted by rushing into execution. Step 2. Consider your context. There are a lot of recommendations for where and how you should spend your budget. The best approach is to understand your context. What works for one type of company, is not always the best path for your enterprise business. You likely have a lot of information on your website and other digital formats that you’re trying to manage. Make sure your strategy considers the full process of publishing, promoting, and expiring the content you’ve spent the time to create. You can optimize and repurpose that information to continue to see results. It will be a lot easier in the long haul, if you consider the sheer amount of content that you will have to manage upfront. Think about your workflow, the tools that can help you, and your policies for removing or revising content. That will be your best approach to avoid a situation where your content feels out-of-hand and unmanageable. Step 3. Help your company understand your success. Most enterprise marketers have an entire toolkit of systems to help them complete their digital activities. Choose any acronym - CMS, DAM, CRM - and it contributes to your overall efforts, with each system offering analytics around your work. You have likely defined the metrics you’re trying to reach with any new marketing initiative. The trick comes in translating those isolated numbers into real impact. We've seen a number of customers gather their analytics manually, but ideally you can set up your systems to work together. That may mean building an integration between marketing systems. If you want further customization, many companies are now building custom dashboards to bring together the numbers that matter to their business. Because it's not just about how you understand these numbers in your day-to-day work, it's about how you can communicate those numbers to the other people at your company. Getting buy-in from other departments for Marketing initiatives can be a challenge without the numbers to validate your decisions. While the details for each manufacturing company may be different, we've seen the most successful digital marketing strategies account for these 3 considerations. They help to increase buy-in across the company and help drive and communicate the results you want to show.